Happy Book Birthday to my long-time pal and critique group leader, Karen Day! 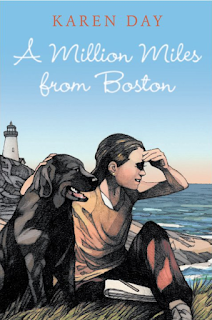 Her third middle-grade novel, A MILLION MILES FROM BOSTON, releases today from Wendy Lamb Books / Random House. "A well-paced, realistic 'summer of change' story," raved Publishers Weekly. "Day (NO CREAM PUFFS) sympathetically portrays Lucy's overriding sense of responsibility for everybody's happiness, especially her father and the kids in the informal 'day camp' she runs ... and persuasively renders Lucy's uneasiness with her complex shifting emotions and memories." If you're looking for the perfect read for a thoughtful 8-12 year old girl, it doesn't get better than this. Thanks to Karen's masterful creation of a sense of place, she'll be transported straight to the beauty of Maine in the summer. Congratulations, Karen. I'm so proud of you. In the Boston area? 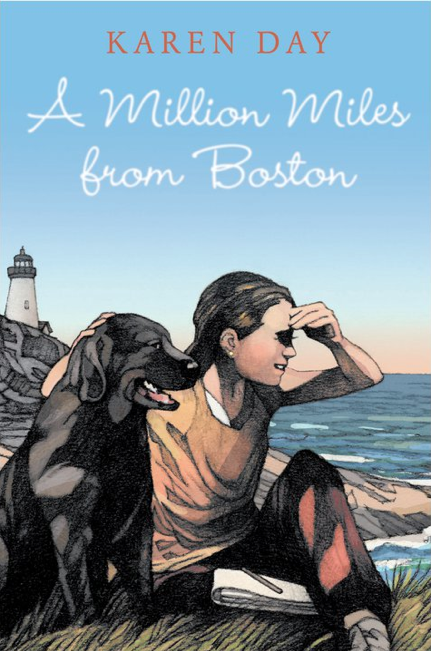 Join us to celebrate at Newtonville Books, Sunday, April 10, at 2 p.m. I'll be there in full party mode.